Medium:- 40°C ... +125°C / -200°C ... +250°C. ■accuracy class 1,0 % f. s.
The D-Cryo Series is a 2-way, high flow, miniature Cryogenic valve designed and built for service down to –320°F (-196°C). Depending on your temperature requirements, the D-Cryo Series can be configured for liquid nitrogen (LN2), liquid carbon dioxide (LCO2), and other extreme temperature media. PTFE coated plungers,316 Stainless Steel guide tubes and plunger springs,encapsulated coils, and PTFE or Rulon® seat seals produce a truly robust Cryogenic valve for applications requiring high cycle life and media temperature control. 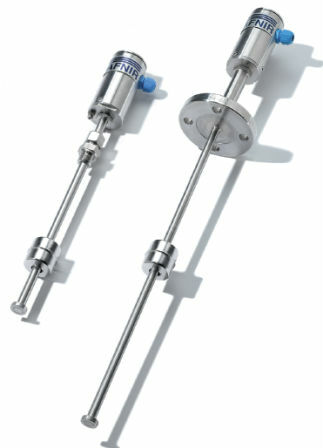 The B-Cryo Series is a 2-way miniature Cryogenic valve designed and built for service down to –320°F (-196°C) in applications needing a Cv between .045 and .440. Depending on your temperature requirements, the B-Cryo Series can be configured for liquid nitrogen (LN2), liquid carbon dioxide (LCO2), and other extreme temperature media. Teflon® coated plungers, 316 Stainless Steel guide tubes and plunger springs, encapsulated coils, and Teflon® or Rulon® seat seals produce a truly robust Cryogenic valve for applications requiring high cycle life and media temperature control. 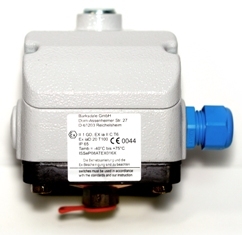 The B Series is a direct acting solenoid valve, available in 2- or 3-way functionality. Like all of our valves, the B Series has bubble tight plunger construction and is designed to last for millions of cycles in general purpose liquid, gas, and vacuum applications. The B Series is available in various orifice sizes, a variety of body materials, wattages, and coil constructions for the utmost adaptability to your application requirements. The B Series in an excellent choice for most general-purpose application requiring a Cv of .018 to .430.